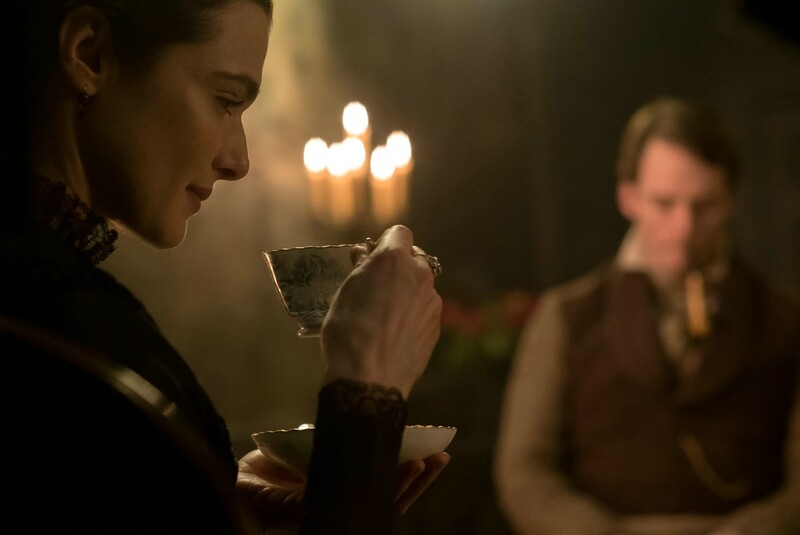 A drama, mystery and romance, My Cousin Rachel offers a study in tumultuous human emotions but is too staid and obvious to scale the heights it aims for. In 19th century England, Philip is orphaned and raised by his loving older cousin Ambrose. As Philip (Sam Claflin) matures into a young man, Ambrose heads to Italy, leaving Philip with his godfather Nick Kendall (Iain Glen) and Nick's daughter and Philip's potential love interest Louise (Holliday Grainger). In his letters back to Philip, Ambrose describes falling deeply in love with his widowed cousin Rachel. But the letters turn dark, and a seemingly very sick Ambrose accuses Rachel of wanting him dead. Philip rushes to Italy but learns that Ambrose is already dead. Seething, he returns to England to look after Ambrose's estate and await the visit of Rachel (Rachel Weisz). When she finally arrives, Philip is disarmed by her honesty and humility, and his rage and resentment quickly turn to infatuation and love. He learns that Ambrose may have intended to leave his fortune to Rachel. Despite Nick's protestations, Philip starts to make plans to transfer his wealth to his twice-widowed cousin. An adaptation of the Daphne du Maurier novel directed by Roger Michell, My Cousin Rachel moves slowly but is reasonably rewarding. With lush production values enjoying the languid pace, the film is easy on the eyes. The English countryside comes to life in measured doses, and the costumes and set designs ensure there is always something to admire. Which is helpful, because otherwise the narrative is both predictable and stretched to fill the 105 minutes of running time. Philip's journey from angry and suspicious to enraptured and beguiled plays out in Victorian time. He blows past all the signs that Rachel may be less of a victim than she lets on, and of course this being du Maurier, there is at least one twist in the tail. In revealing its secrets the film is uneven and deliberately misleading, stacking the deck of evidence first one way then another. In the process, themes of trust, infatuation, impulsiveness and the gulf in maturity between an older woman and younger man are explored. Philip is an adolescent transitioning into an adult, looking for shortcuts to manhood and leaving plenty of room for impetuous behaviour to trump common sense. Rachel is twice married, seasoned and worldly. The film hinges on whether their relationship finds mutually beneficial common ground or the quicksand of deceit and victimization. The film stands on the foundation of Rachel Weisz' performance, and she delivers a nuanced depiction, faithful to the character and open to the multiple interpretations demanded by the mystery. Sam Claflin, at 30 years old, struggles mightily to convince as a young man of 19. The rest of the cast is underpowered. 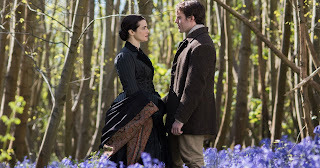 My Cousin Rachel is an enigmatic character worth getting to know, but this visit requires patience.